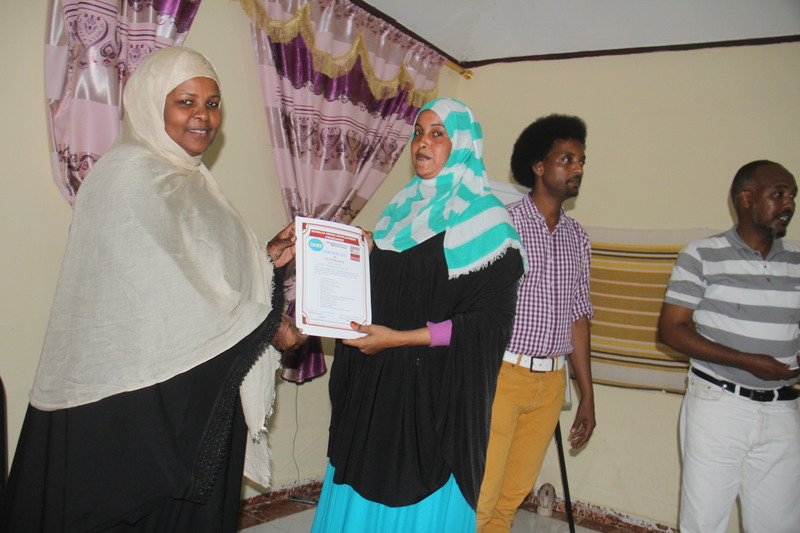 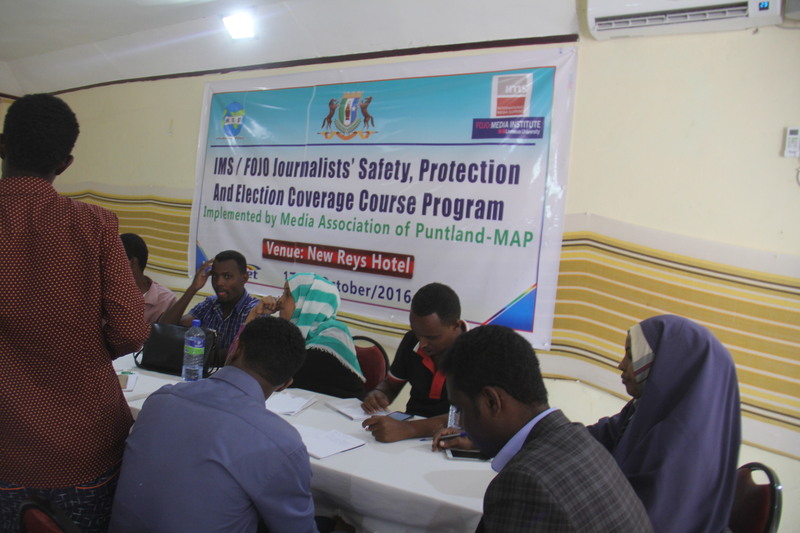 Home » Garowe Puntland, October 21, 2016: A four-day workshop on “Journalists’ Safety, Protection and Election Coverage” organized by the Media Association of Puntland (MAP), with the provision of the IMS/FOJO partnership supported project ‘’Improving Media Freedom Safety and Media Content for Public Interest Project in Somalia’’. 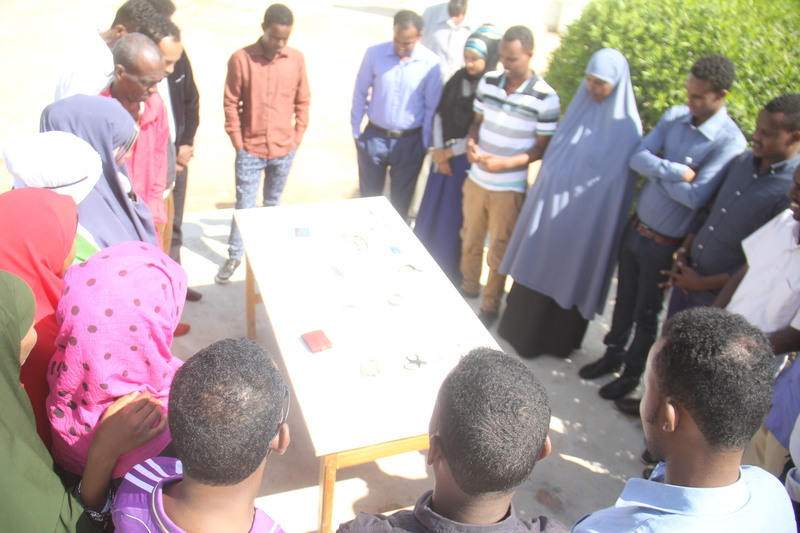 The four day training took place at the New Rays Hotel in Garowe from the 17 to 20 October, 2016. 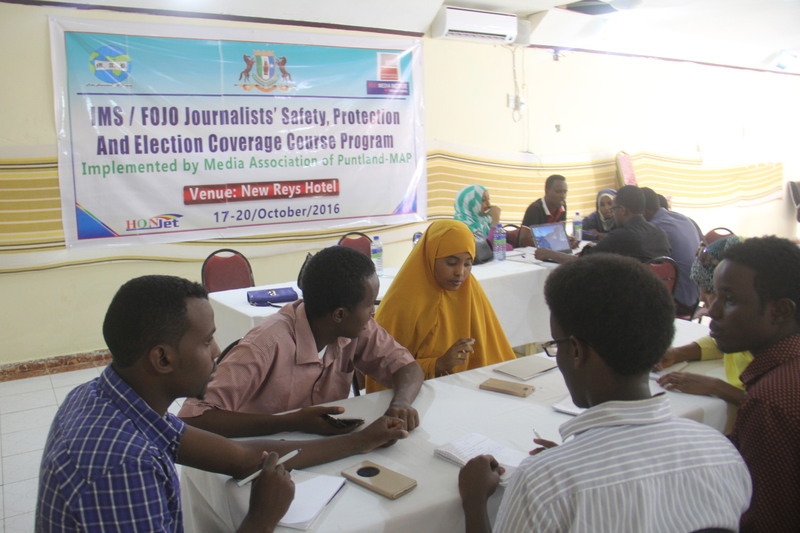 Garowe Puntland: 21/Oct/2016:The workshop was attended by 25 participants consisting of the journalists from both print, TV and broadcast media outlets drawn from the Puntland regions of Mudug, Sool and Nugaal regions. 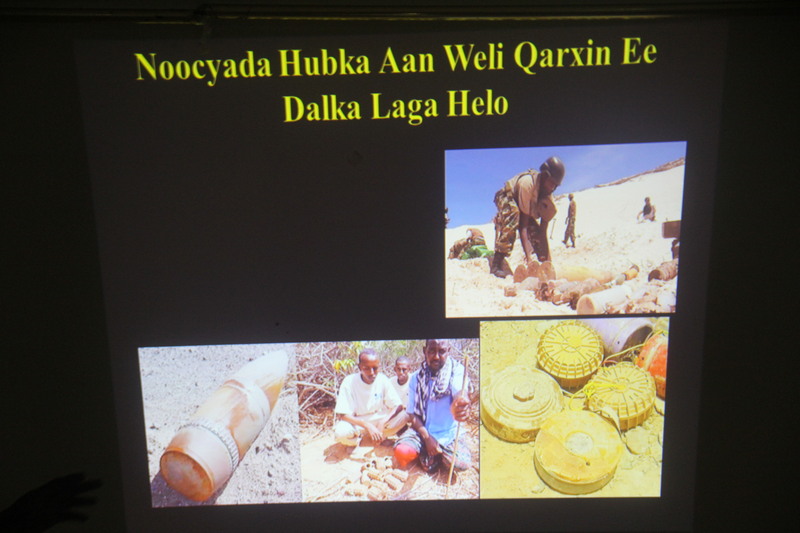 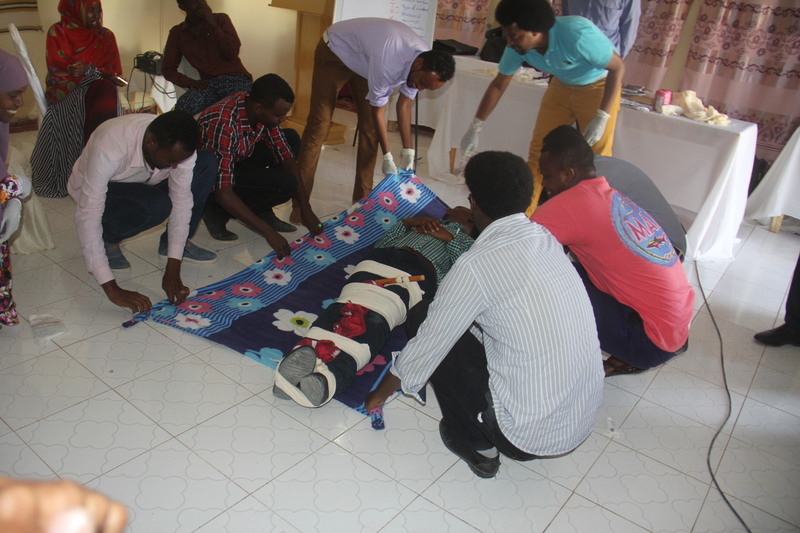 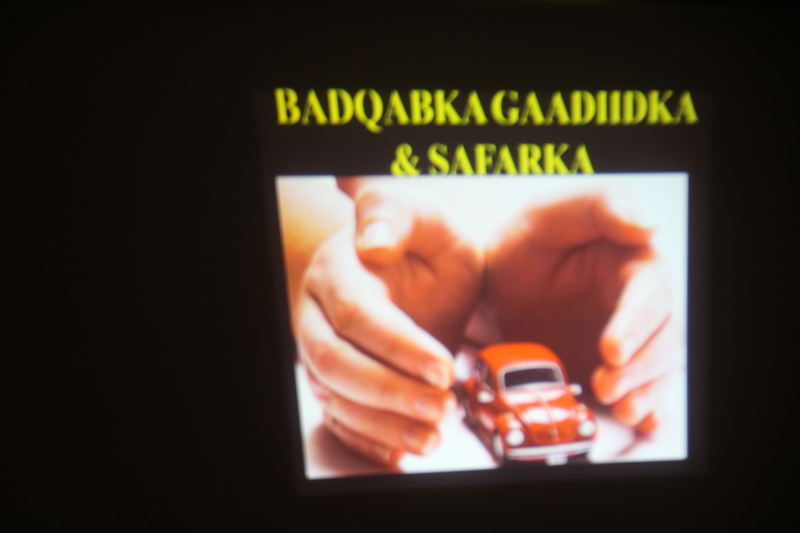 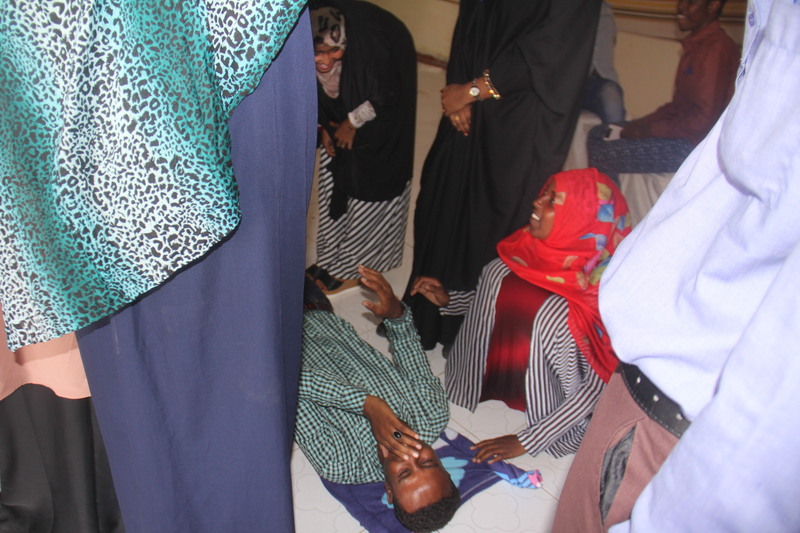 Expected to attend this training were Journalists from the neighboring Gal-Mudug state, unfortunately they couldn’t make it due to the unsettled armed clashes at the Galmudug and Puntland border. 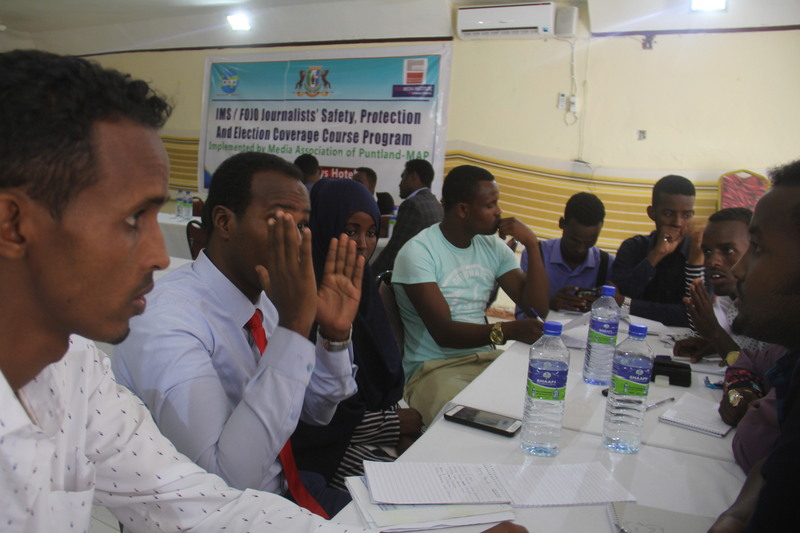 The objectives of this trainings were to augment the safety of the journalists through safety trainings on key-topics icluding Digital Security, Risk assessment, Personnel & work place security, Situational awareness, first aid, Media and Security Forces, as well as, to sensitize journalists on ethical principles guiding elections reporting and coverage; strengthen the capacity of journalists to monitor elections and report them effectively; and ensure adherence to professionalism as a deliberate means of entrenching Journalists safety , democracy and good governance in Puntland and Somalia at large.The idea is to raise awareness and train journalists so they could develop a self-sustained community that upholds ethics in journalism, can cope up with psychological trauma and burn-out, anticipate and mitigate physical and digital risks. 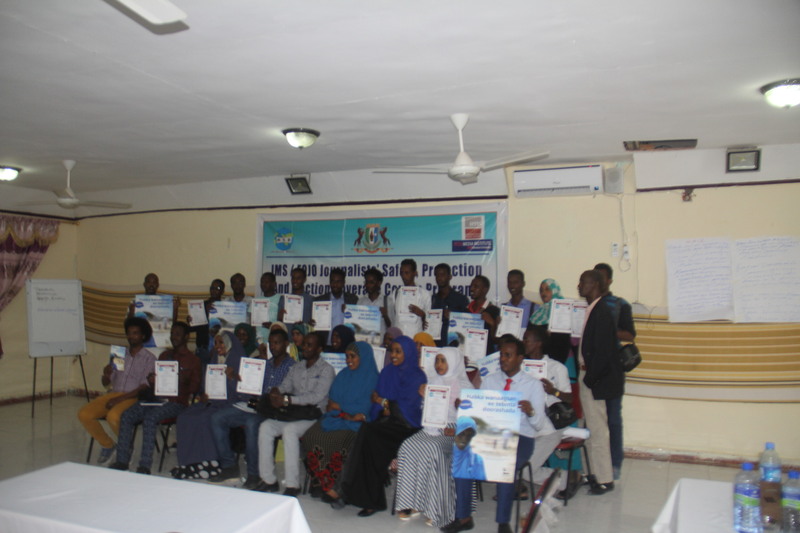 The opening ceremony was chaired by the Puntland deputy Minister of Information culture and heritage – Hon., in the presence of the MAP chair, Faisal Khalif Barre, and the Somalia programme Coordinator of Fojo/IMS, Abukar Albadri. 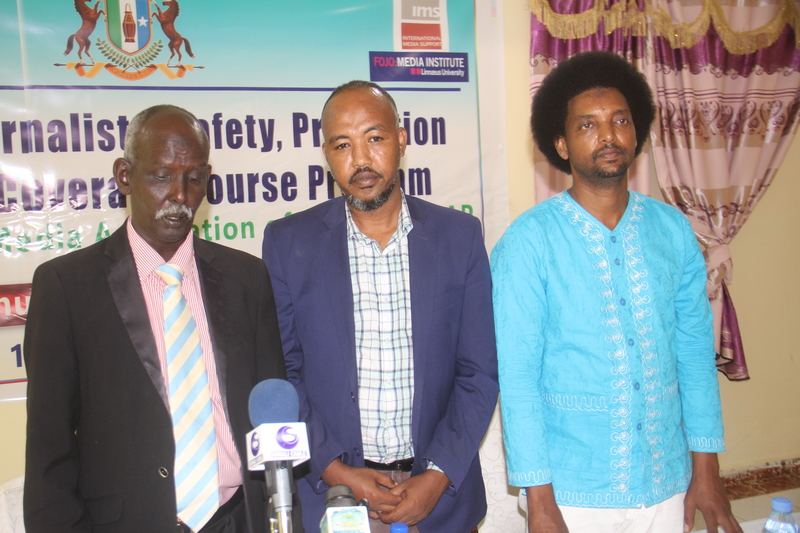 The Honorable deputy Minister of Information culture and heritage, Puntland sate, who declared the workshop open, underscored the responsibility of the media to the people and the vital need for the journalists to take advantage of the safety training and more so at this transitional period. 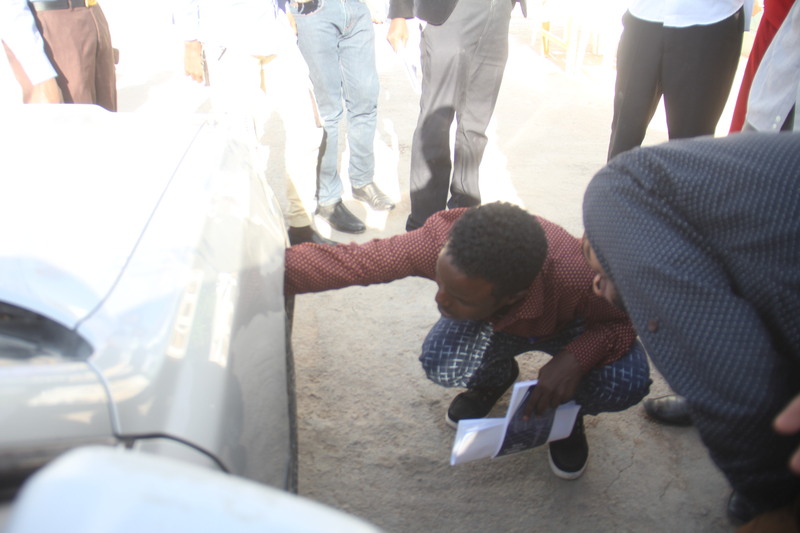 He instructed the media to emphasize issue based campaign and promote a peaceful election, barren of animosity. 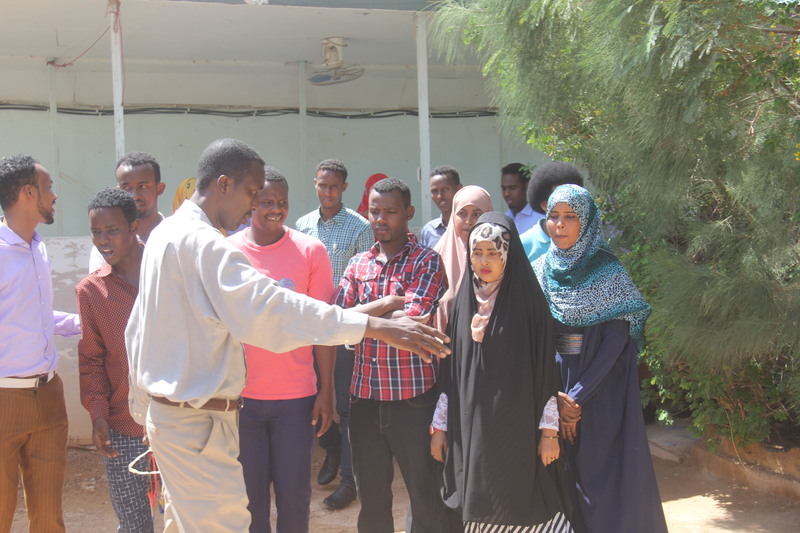 While acknowledging that there are intrinsic challenges confronting the media in electoral coverage, he however, urged the media to always display high ethical standard in their reportage. 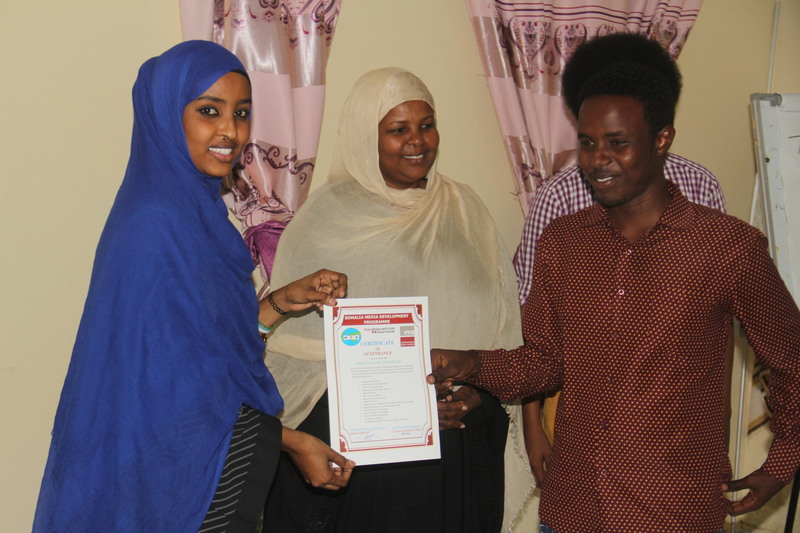 The closing ceremony was attended by MAP chairman Faisal Khalif Barre, MAP Secretary general Fatima Mohamed Mohamoud, The Somalia programme Coordinator of Fojo/IMS, Abukar Albadri, Facilitator and two visiting IMS/FOJO personal Khadra Abey and Fiona Beth. 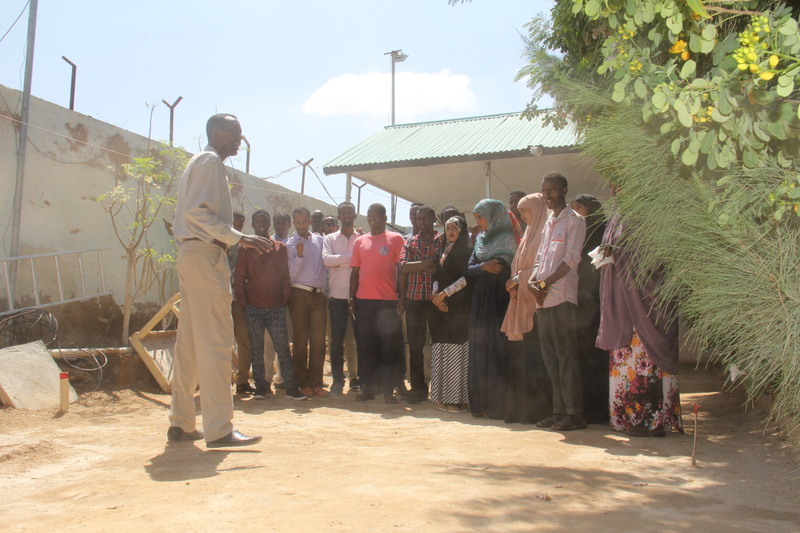 ‘’Let me start by Welcoming our colleagues Fiona and Khadra am glad that they arrived safe and that you they are here with us – I would like to thank Abukar Al Badri for his tireless efforts and enthusiasm on both the Bosaso and Garowe Safety trainings, alongside the facilitators who were also of a great importance in delivering such a great skillful exercise, my sincere thanks go to the IMS/FOJO partnership for their unwavering support on empowering the Puntland media professionals – through this much needed safety trainings, we are grateful!, He continued and said, furthermore I also want to cordially thank you the participants for the great participation you have shown for the last 4-days and it’s now time to integrate the skills, knowledge and experience you gained to your daily work, similarly to share the knowledge with your teammates back thank you all’’, Said Faisal MAP chair. 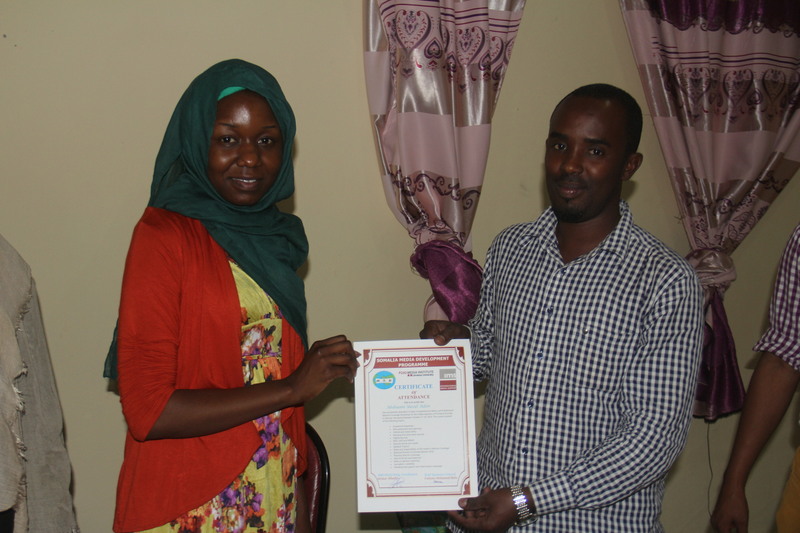 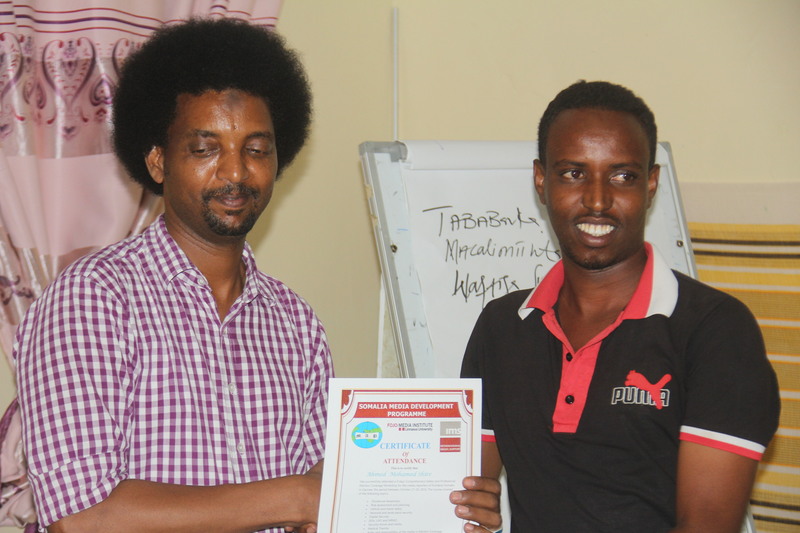 ‘’of the IMS/FOJO similar training I conveyed as a facilitator in other regions, Garowe has been my favorite and you have been the best, she added, your participation, maturity and discipline has been excellent during these days we have been together, thank you all and wish you the best in your future endeavors – Said Abyan. 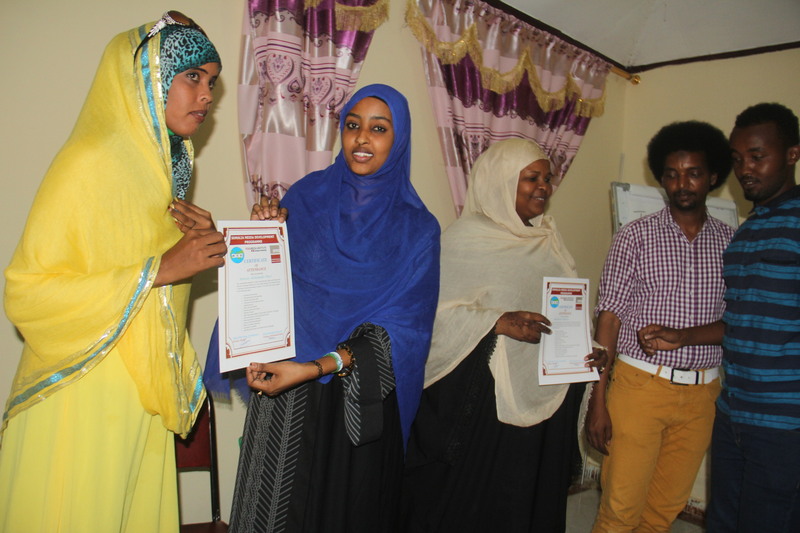 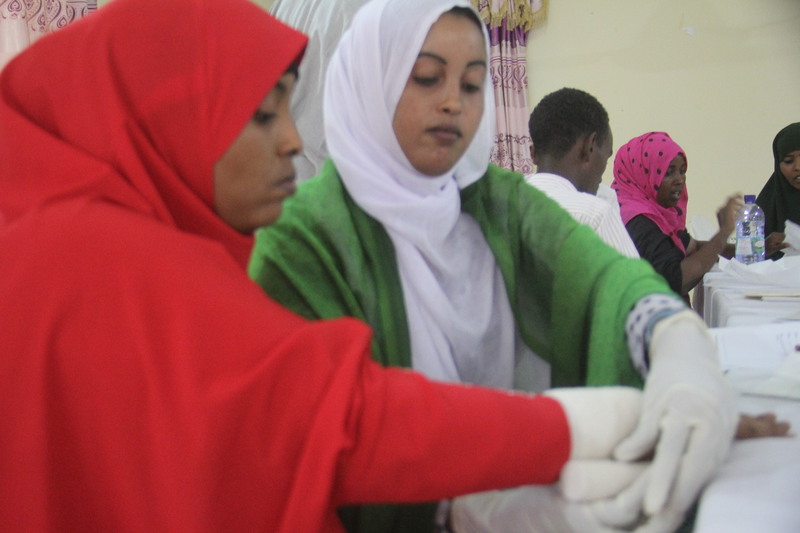 The MAP secretary general Fatima Mohamed Mohamud who officially closed the the 4-day training appreciated the IMS/FOJO partnership in supporting such an important safety training the first of it’s kind in Puntland. 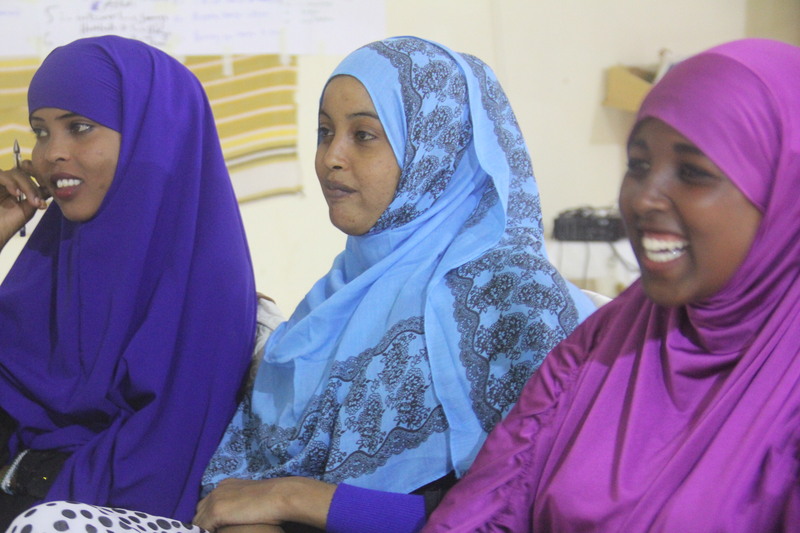 Fatima urged the assembled journalists to take extra cautions while practicing their professional work especially now when Somalia under goes such a sensitive period while we approach the national elections. 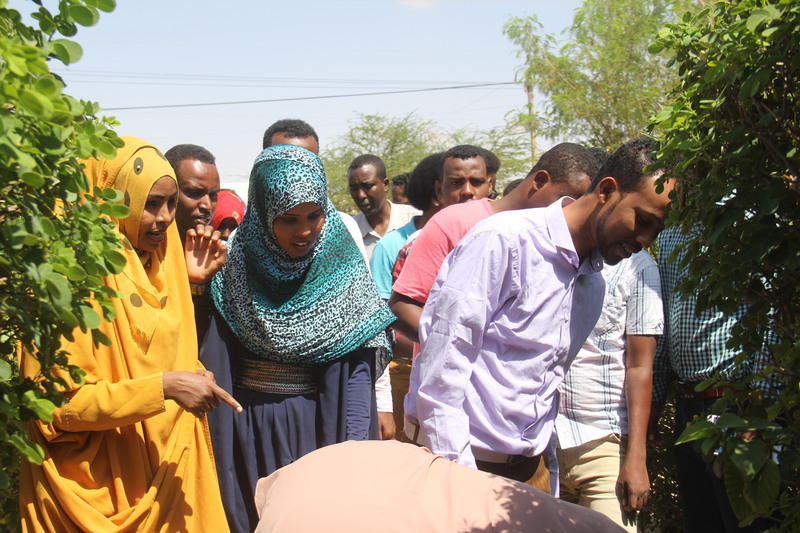 ”The next Somali presidential elections slated for the last week of November of 2016 will happen amidst a number of challenges facing the country, including violent border state conflicts and extremist insurgency. 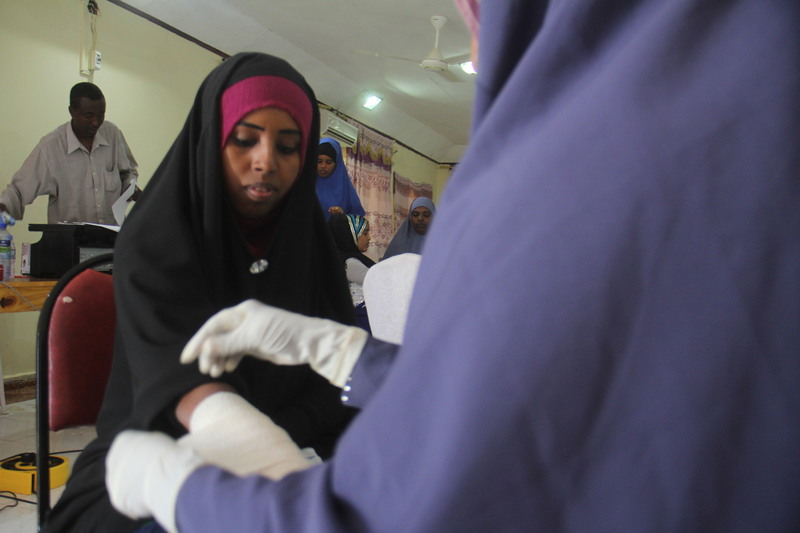 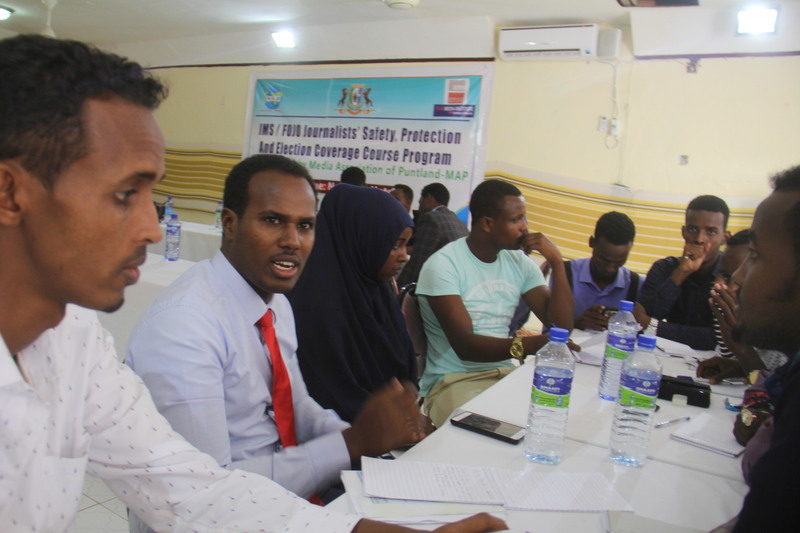 It is therefore crucial both for the Somali media practitioners especially the Journalists who will cover the elections to step-up their risk assessments together with their media managers while preparing the teams to cover the election, Said MAP’s Secretary general. 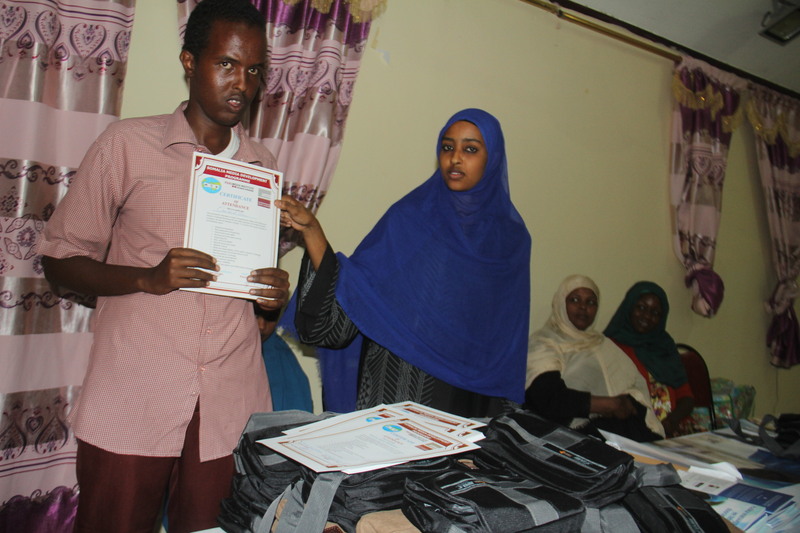 At the final steps of the closing the Participants were rewarded with the first aid kits and attendance certificate. 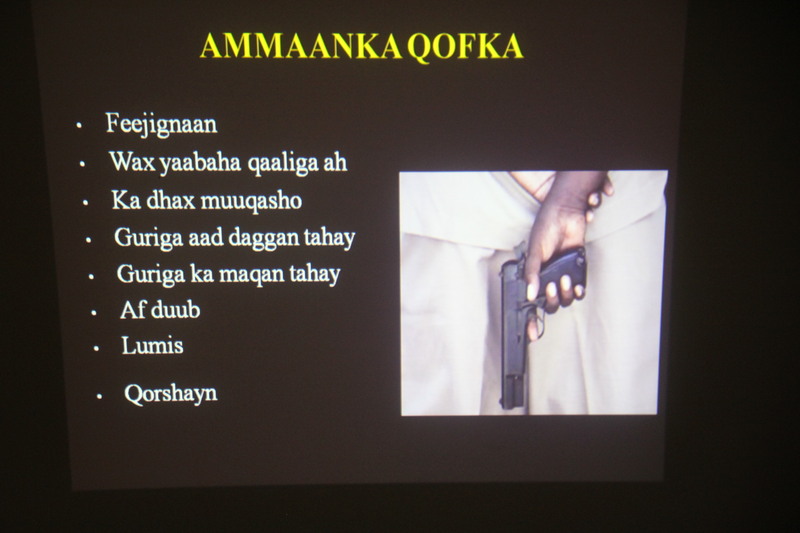 Somali media remains challenged by censorship, intimidation, harassment, unlawful detention, imprisonment and mysterious assassinations bearing the hallmarks of extremism and political instigation. 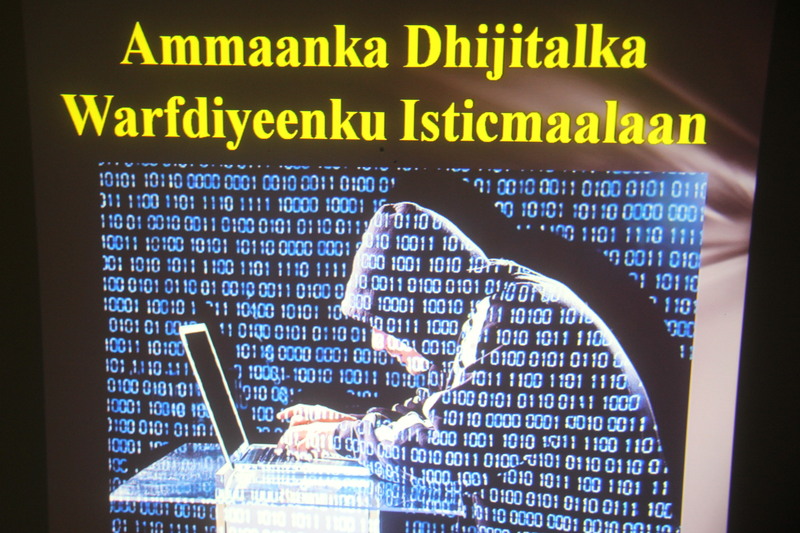 These heinous actions have adversely affected the independent media and restricted the Somali people ‘s access to independent news and information. 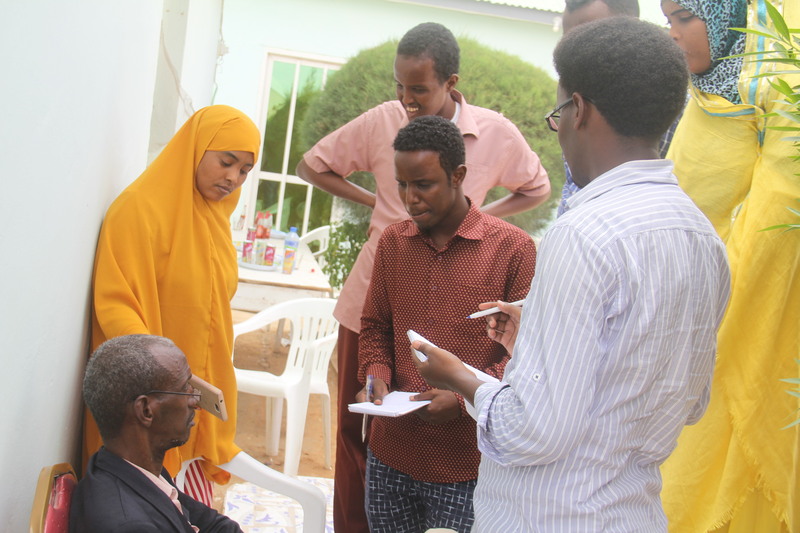 Many journalists, reporters and other media staff fled to neighboring countries leaving the sector with considerable human resource challenges. 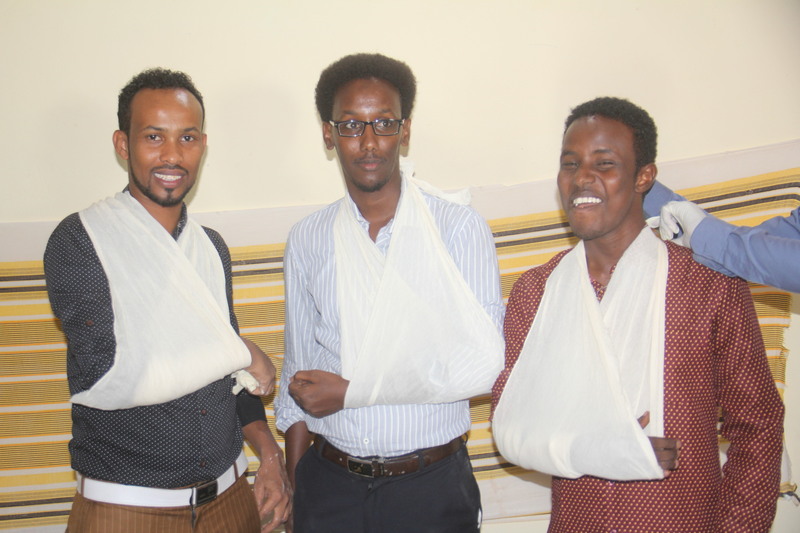 These high personal risks discontinued experienced journalists from active practice in Somalia. 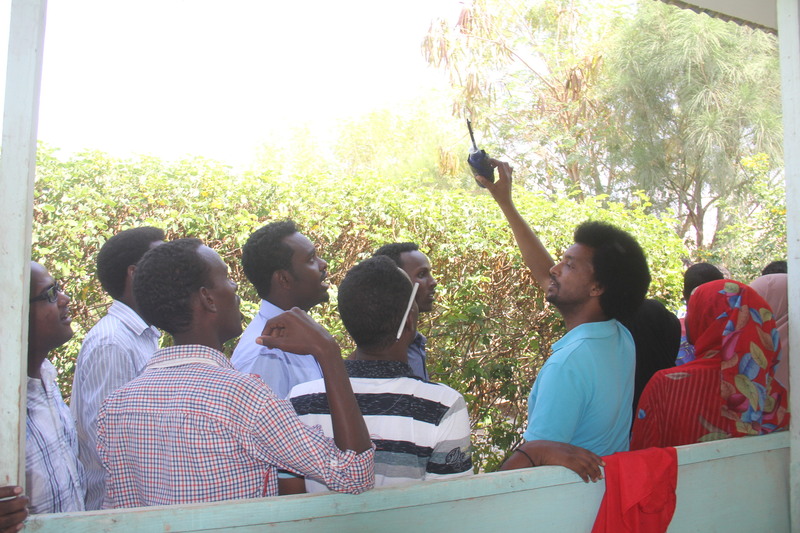 The sector attracts, only, low skilled labor due to the low wages and the dangerous repercussions.